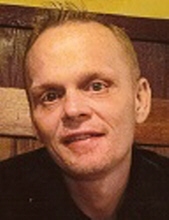 James Lee Dillender, 46, of Carbon Cliff died peacefully at home surrounded by his loving family May 25, 2018 due to an extended illness. In honor of him and all others waiting for organ transplant, please donate. A celebration of life will be 1-3pm June 23 at Purgatory’s Pub in Bettendorf, IA. Quad Cities Cremation Center is assisting the family with arrangements. Jim was born Sept. 20, 1971 the son of Leisa Lee Hannah. He graduated from Erie High School in 1990 and is a National Guard Veteran. Jim married Sharon Laberer Jan 27, 2014 in University of Iowa Hospital ICU. He previously worked for Prairie Waste. Jim had a passion for vehicles; we cannot count the amount he has owned over his lifetime. Survivors include his mother Leisa Lee Hannah-Zeltner of Carbon Cliff; wife Sharon; step son Treston Laberer, USAF AFB Korea; sisters Laura (Don) Ghrist of Buffalo, IA and Michelle (Pat) Zeltner of Silvis; brothers C.J. (Casey) Partain of Paulding, OH, Richard (Chelsey) Zeltner of Davenport, IA and Michael Reece of Washburn, ME; special brother and best friend Mike (Tami) Wilson of Geneseo; many nieces and nephews and fur babies Emma, Cole and Muffin. Jim was preceded in death by his dad Richard Zeltner. The family would like to thank Dr. Michael Voigt, Mary Jeanne and Joyce at University of Iowa Hepatology Clinic for 17 years of exceptional care and Genesis Hospice for the care given to Jim. To plant a tree in memory of James Lee Dillender, please visit our Tribute Store. "Email Address" would like to share the life celebration of James Lee Dillender. Click on the "link" to go to share a favorite memory or leave a condolence message for the family.